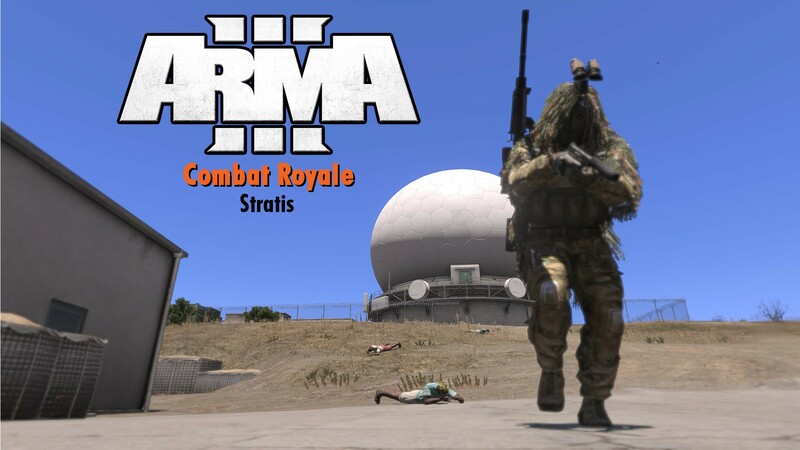 A multiplayer deathmatch map that has a similar to Battle Royale. 41 zones around stratis restrict player movement, crates with ammo and equipment are spawned onto the map in random locations. Players must hunt each other and find the crates or setup ambushes. A multiplayer deathmatch mode (60 second repsawn upon death) for 1-16 players. Players respawn in a halo drop onto the island in a random zone (41 available). Each zone will detorate and will be marked in the map from green, yellow and red states over time - Red being a lethal zone. 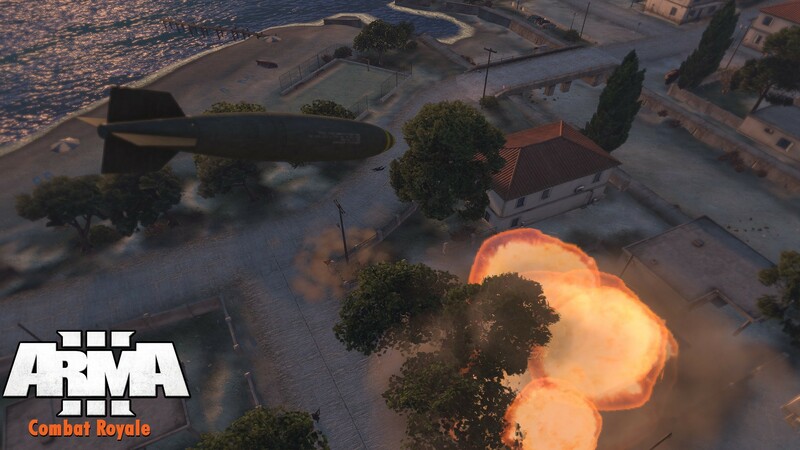 Players must hunt for weapons from 3 respawning crates or other players or AI units (0-20). Vehicles are available for faster travel, but their location marker is updated every second to reveal your position. Random zone bombings to add tension to traversing Stratis. 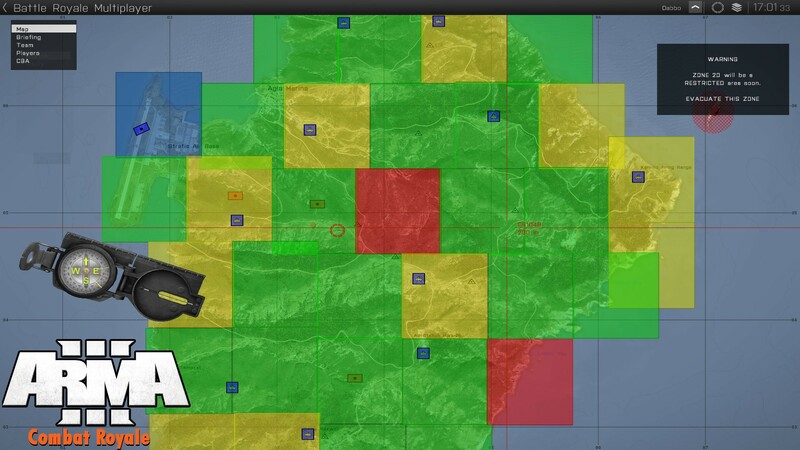 Player/AI and crate positions tracked on map at regular intervals, which the AI uses for last known location/'hunting. Host/Server parameters to customize the game to add a lot of variety to the game mode. Multiplayer game continues until 3 zones remain, where the scoreboard can be viewed to determine the overall winner. 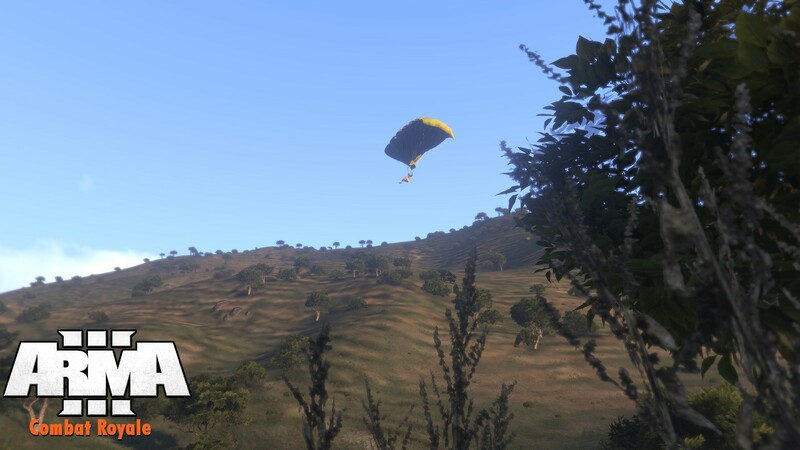 All scripted in vanilla Arma 3, no mods required to run this.